High Maltose Corn Syrup, or HMCS, is a syrup made from corn starch that contains maltose and glucose. Unlike High Fructose Corn Syrup it contains no fructose at all, and must therefore be considered as a far safer sweetener. Unfortunately it sounds like High Fructose Corn Syrup, and is made in a similar process, so it naturally arouses suspicion. However, this is simply a case of guilt by association, HMCS does not pose the same health risks, and in some ways could be considered even superior to cane sugar or honey as it contains no fructose at all. Maltose is a disaccharide made up of two glucose molecules. It is only about 30% as sweet as sugar and has a high glycemic index. 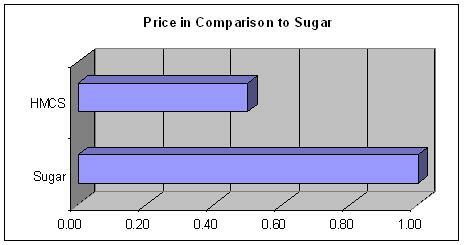 Using this information, and the above table, we are able to conclude that HMCS is about 50% as sweet as sugar and has a glycemic index of about 100. Because it is not very sweet it is of limited use as a sweetener in it's own right. However It has some characteristics which make it very useful in the food industry. 1. It acts as a preservative, it prolongs the shelf life of products. 2. It is less humectant than other sugars, so it can be used as a coating in candies and is less inclined to become sticky. 4. It feeds yeast and assists with baking and rising of bread. 5. It is used in the brewing industry. 6. It has a lower freezing point than other sugars and so is useful as an ingredient in frozen foods. The main benefit is that it contains no fructose. However it is not as sweet as ordinary sugar so more must be used. It is not suitable for diabetics and, like all sugars, is harmful to teeth. Like High Fructose Corn Syrup it is made from corn syrup, which has, in several tests, been shown to contain mercury. This is because of sloppy methods of manufacture used in the process to convert the corn starch to corn sugar. Much of the high maltose corn syrup used in America is made from genetically modified corn. This may be of concern for many individuals. 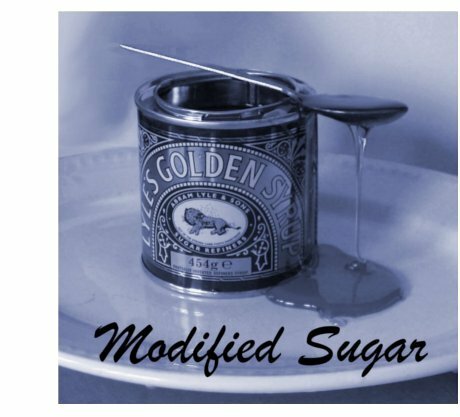 The World Health Organization recommend no more than 50gm refined sugar per day (about 12 small teaspoons) for an average adult and are considering reducing this to 25gm. This would apply to all sugars including HMCS. It is produced from corn starch that has been subjected to two processes. The first process is an acid-enzyme process to break down the starch chains into smaller glucose chains. The next stage converts some of these into maltose. Not sold on it's own, it is added to products such as soft drinks and candies etc. Cargill are a major supplier. It's inexpensive. It's about the same price as HFCS which is about half the price of cane sugar. Market share is tiny. Has only recently been recognized for the properties it can add to processed foodstuffs. It is quite similar to Maltodextrin which is usually in a powdered form. Like this substance it may be of use for bodybuilders post workout. It is usually made from Corn, in which case it is gluten free. But any starch will do including Wheat, Corn or Rice. It is of more use for food manufacturers than as an ordinary sweetener for the consumer, it's just not intense enough. Because it is a refined carbohydrate, devoid of all nutrient, moderation is sensible. However it contains no fructose, and consequently can be regarded as a fairly safe sweetener. No need to worry about seeing it listed as an ingredient in your favorite health bar!